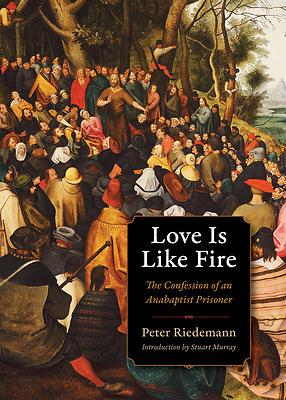 One of the most articulate and biblically grounded voices of the Radical Reformation, Peter Riedemann was only twenty-three when he penned this impassioned confession of faith in the gloom of a sixteenth-century Austrian dungeon. Already a noted Anabaptist leader, Riedemann called fellow persecuted Christians to witness to a love that, "when it really burns, having kindled our eagerness for God, the more temptations and tribulations meet it, the more it flares, until it overcomes and consumes all injustice and wickedness." A classic testament to religious liberty with a timely message for modern believers, Love Is Like Fire serves as a striking reminder of the spirit that fired the hearts of early "heretics" during the Reformation. A first translation into English, this book is an important addition to the small but growing number of primary sources on early Anabaptism.